Nashville, TN (March 1, 2019) – Today, multiple GRAMMY®, Stellar, and Dove Award-winning international Gospel icon Donnie McClurkin releases a new single “Not Yet.” Available now at all digital music providers and newly released to Gospel radio, the new single is being released by McClurkin’s label CamDon Music, in partnership with RCA Inspiration. “Not Yet” serves as the first single from the Gospel legend’s forthcoming eighth solo album. 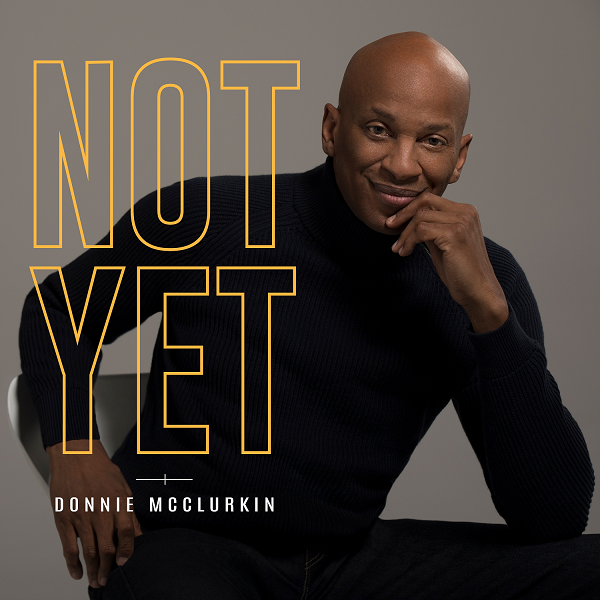 One of the most beloved reigning voices and musical trailblazers in Gospel, with the undeniable ability to minister and harvest a transformative atmosphere, Donnie McClurkin does just that in his transformative new single “Not Yet.” Written by McClurkin and co-produced by Trent Phillips, the poignant single comes at a significant time in McClurkin’s testimony, divinely inspired following his experience of God’s omnipresent power in surviving a recent serious car accident. The single carries a potent reminder that even in the midst of our crisis God has the final word, and if He has declared not yet the circumstance will move in our favor.